Kathis Energy LLC has signed a 160-acre oil and gas lease located in the north central part of Jones County, Texas known as the Olson. The principal target formation for the Olson Lease is the Palo Pinto Reef. The Palo Pinto is a known productive formation with a high yield of cumulative oil production. The Strand Oil Field is a Palo Pinto Reef Oil Field, discovered in 1940, that consists of only 8 wells, yet has produced a total of 1,700,000 barrels of oil, an average of 212,500 barrels of oil per oil well. 1.5 miles from the Strand Palo Pinto Field (8 wells in the field) that has produced 1,700,000 Barrels of oil from a Palo Pinto Reef. High yield per well averaging 212,500 per well from the Strand Palo Pinto Reef Field. Excellent well control on the Olson Lease that provides evidence of the similarities of the Strand Palo Pinto Field to the Olson Lease. The Guinn well drilled on the south side of the lease had an oil show and a tremendous buildup in the Palo Pinto Reef. The total depth is fairly shallow approximately 3,600 feet. The Olson Lease is in an area geologically known as the Eastern Shelf of the Permian Basin. It is influenced by the Bend Arch to the East and the South as it approaches the Llano Uplift. This area is best known for the several producing formations that are stratigraphically and structurally used as trapping oil and gas. 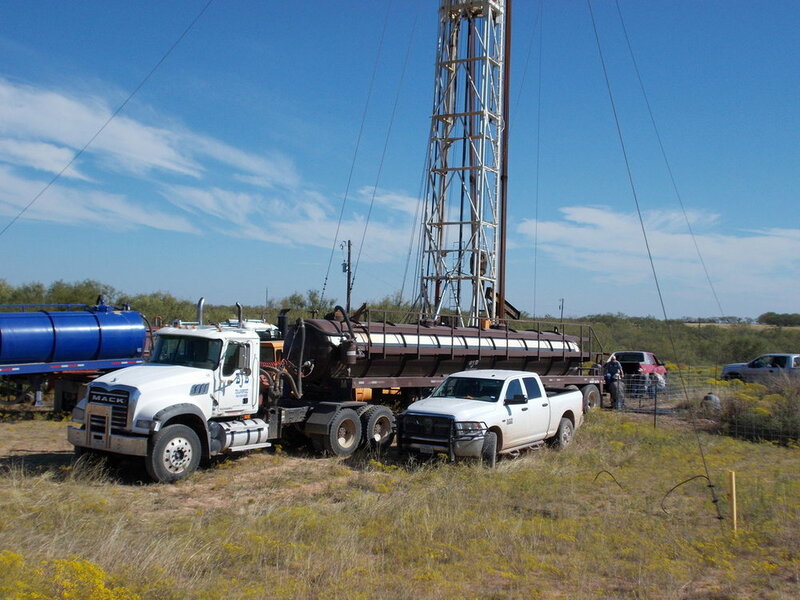 The Olson Drilling Prospect is focusing on the Palo Pinto formation. There is a large buildup of the Palo Pinto formation across the southern portion of the Olson lease. This structural buildup and reef buildup across the acreage has close similarities to the Strand Oil Field making this a very good prospect for drilling. The Palo Pinto Reef is a Limestone Formation that was formed during the Carboniferous period, which was during the end of the Paleozoic Era and at the beginning of the Devonian Era. Typical Palo Pinto Reef wells are known for their high rate of production and quick payout. A known Palo Pinto Reef Field in this area is the Strand Oil Field which has produced over 1.7 million barrels of oil from 8 wells and is located approximately 1.5 miles from the Olson lease. A new well is proposed to be drilled on the Olson lease to test the Palo Pinto Reef.